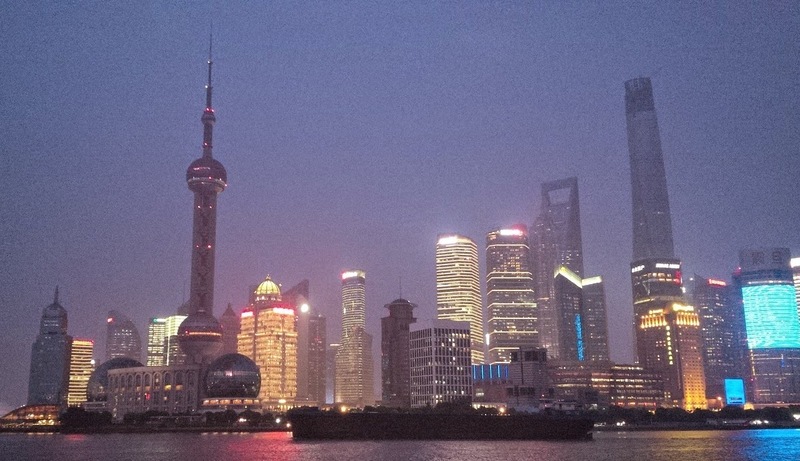 The Oilholic finds himself in Shanghai, the financial capital of China. Home to some 24 million people, this bustling metropolis, and what makes it tick, explains away the country’s consumption pattern of hydrocarbons, colossal state-owned oil & gas companies and a progressive lurch forward in the world of finance. China uses more energy per GDP unit than any other country in the world, and factored in that equation is Shanghai which burns more hydrocarbons that any other major Chinese metropolitan area. While savouring the glitzy lights of the Shanghai waterfront, should the haze and weather permit, most visitors either fail to notice or attach importance to oil tankers frequently passing up and down the Huangpu River (see above left, in the darkness below the Oriental Pearl TV & Radio Tower). China is the world’s largest net importer of crude oil, and its financial gateway is also its gateway for imported crude to be processed and moved. The city’s Pudong district alone has 240,000 barrels per day (bpd) of refining capacity. According to a distillates market commentator, plans are being spearheaded by Sinopec to take old creaking facilities offline and replace them with a new cleaner low carbon refinery with a whopping 400,000 bpd processing capacity at Caojing Industrial Park, some 50 km south of downtown Shanghai. The capacity would have to be whopping, catering to Shanghai's Yangshang Port which overtook Rotterdam in 2004 to become the world’s busiest container port by volume and cargoes. Of the city's two main airports – Pudong International – is the world’s third-biggest mover of air cargo. 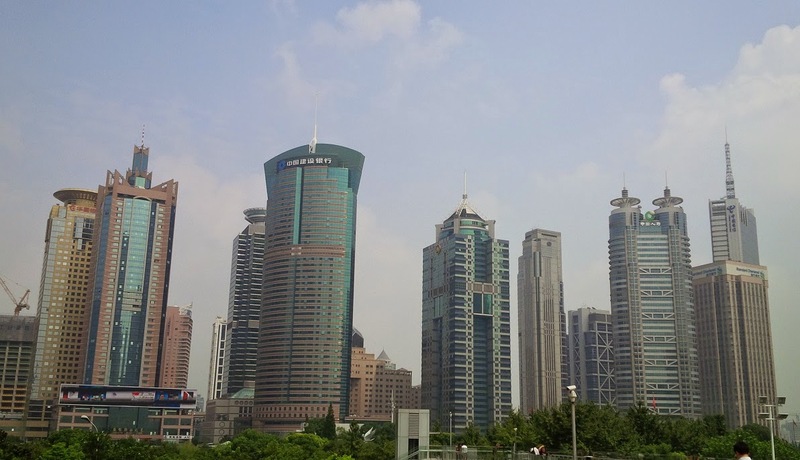 Then with an area of 6,340.5 sq km, Shanghai is the world’s largest city and China’s most populous. Its growing, and growing fast. In 2001, the Oilholic remembered watching a BBC report on the city’s construction drive. Much of it was focussed on Pudong’s financial district which resembled something of an urban metallic mess. As yours truly came out of the Lujiazui Metro Station on Friday afternoon to see for himself, the said urban mess has in fact progressed to a sprawling skyscrapered representation of Chinese economic prowess in less than a decade. Furthermore, yet more skyscrapers keep springing up. A trader correctly pointed out that the Oilholic has arrived to witness the party a bit late. Guilty as charged, more so as flat macroeconomic data has taken some (but not all) of the fizz out of late. Nonetheless, the inexorable eastward movement of importers’ petrodollars is manifestly apparent, more so as Chinese imports (and refining capacity) rises, while US imports decline and conditions for OECD refiners remain challenging. To provide some context, Wood McKenzie notes that by 2020, US crude oil imports would have fallen below 7 million bpd thanks to shale and lower demand, while China’s would have risen above 9 million bpd. Bearing the wider market dynamic in mind, Chinese regulators are trying to bolster Shanghai’s clout in the wider commodities and financial markets. For instance, three reliable financial sector sources expressed confidence that the domestic market regulator will introduce options trading over the fourth quarter of this year. A spokesperson for Shanghai’s International Energy Exchange says it will commence the trading of crude oil futures this year. It must also be noted that Shanghai’s commodities exchanges are backed-up by those in Dalian and Zhengzhou. As for corporate deal flow, propped up by state-owned enterprises, it’s a case of more said the better. A Reuters report suggests spending by state-controlled oil & gas majors is likely to rise over the coming months, led by Sinopec and PetroChina, as the industry recovers from a government probe into industry graft allegations. Some market commentators here in Shanghai are forecasting an overall annualised jump of over 45% in the total value of mergers and acquisitions (M&A) by Chinese companies, with oil & gas majors leading the way. It can’t be said for sure whether that’s a fair assessment or an overoptimistic take by local commentators, but it is in line with empirical evidence from elsewhere. For instance, Mergermarket recently noted that China was, perhaps unsurprisingly, the biggest market for M&A deals in the region, with deals worth US$128.4 billion over the first half of the year. Recent studies by EY, PwC and Deloitte have also noted the Chinese clout in terms energy sector M&A deals. There’s potential for foreign direct investment as well. For instance, a stake, possibly as high as 30%, is up for grabs at Sinopec Sales, the company’s retail and marketing unit, which could be worth Yuan 100 billion (£10.04 billion, $16.29 billion) in terms of market valuation. It has attracted 37 bidders, including international participants and joint consortiums, according to local media. Rather unusually, Sinopec Chairman Fu Chengyu also told media outlets that new stakeholders could be offered seats on its board. As with everything in China, it’s not done till it’s done. However, should such a level of holistic reform at regulatory and corporate levels go through to fruition, this blogger can see two major Asian commodities and financial markets – i.e. Hong Kong and Singapore – really feeling the heat. Yet, there are stumbling blocks in Shanghai’s march forward. Red tape is a big one, for everything is described by spokespeople as “imminent” but with no verifiable timeline for execution or a firm date. While one can sense the positive intent for reforms, that alone won’t lead to end-delivery. Another is pollution in the city, which is making residents restless about new refinery capacity, and rightly so. 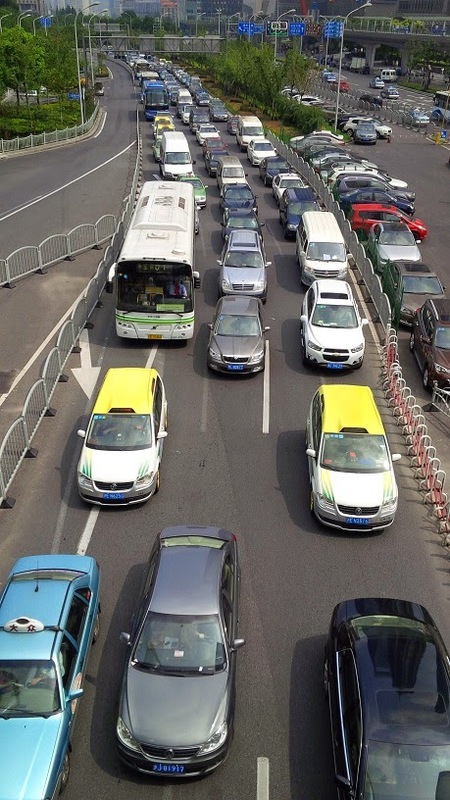 Shanghai’s horrendous traffic jams pose another problem though a fantastic metro, mass rail transit systems and not to mention the world’s first commercial magnetic levitation railway line do make residents and visitors’ lives a significantly easier. Finally, the biggest stumbling block is the Yuan, which isn’t a fully convertible currency. The Oilholic thinks it’s probably why Shanghai's Free Trade Area (FTA), due to celebrate the first anniversary of its establishment this month, has largely turned out to be a dud so far. The 28.78 sq km zone in where else but Pudong was supposedly modelled on a mini Hong Kong. The FTA found promises of attracting a wider range businesses and looser custom intervention easy to deliver along with swanky logistics and construction work. However, a full convertible Yuan and a market-based interest rate mechanism have proved to be anything but deliverable. While the authorities have permitted companies in the FTA open “special accounts” facilitating cross-border capital flows, transactions between these and overseas accounts can hardly be described as “free transfers” in a British or American business sense. It’s also difficult to envisage how the creation of 8 spot trading platforms for commodities ranging from iron ore to cotton would work in the FTA, as is being planned, without a convertible currency. All in all, and to be quite honest, FTA fans expecting a fully convertible Yuan were perhaps being overoptimistic. The Chinese will find their currency pathway at their convenience and in their own time. Nonetheless, crude reality is that the Chinese juggernaut will roll on, and in the context of the commodities market, dominate the discourse for some time yet. That’s all for the moment from China folks as its time to bid a sad goodbye to Shanghai! It was great being here to get a first hand feel of the Chinese oil & gas sphere rather than commentating on it from the comfort of a desk in London. Keep reading, keep it ‘crude’! © Gaurav Sharma 2014. Photo 1: Shanghai Huangpu River Waterfront. Photo 2: Pudong Financial District. 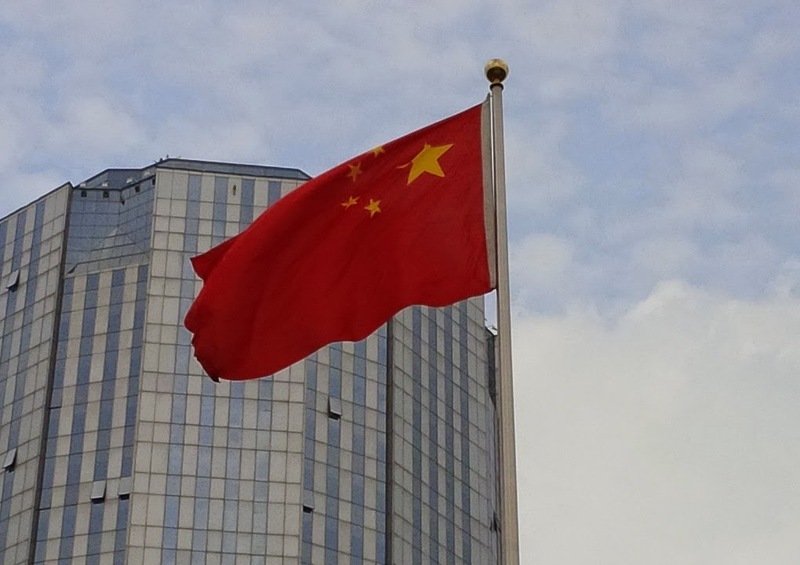 Photo 3: Flag of the Peoples Republic of China. 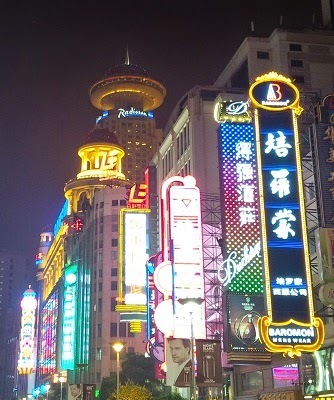 Photo 4: East Nanjing Road. Photo 5: Traffic Jam, Shanghai, China © Gaurav Sharma, September, 2014.